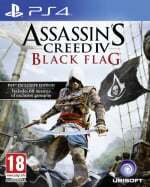 It should come as no surprise that the current-gen versions of Assassin's Creed IV: Black Flag and Battlefield 4 are not selling as well as previous entries. After all, who wants to buy a game on an ageing console when they can wait a few weeks for the superior next-gen version? But a recent report from MCV reveals that sales for the two heavy hitters have suffered more than expected, and it may not be solely due to the impending PlayStation 4. Official figures show that sales of Edward Kenway's on water excursion are down 60 per cent since last year, while Battlefield 4's have slipped a startling 69 per cent since Battlefield 3 in 2011. Splutter. Darren Cairns of Green Man Gaming concedes that the impending next-gen systems are mostly to blame. However, he also points a finger squarely towards the record breaking sales of Grand Theft Auto V, stating: "It's worth remembering the recent knock-out success of GTA V, which many players will still be making their way through." Dixons Retail's Simon Urqhart agrees, but also ascribes the dip in sales to the rise of PC and indie gaming. "I also wouldn't overlook the rise of PC gaming," he said. "Steam sales making back-catalogues desirable, free-to-play games with AAA content, indie titles picking up a surprise share of the market through digital distribution – it’s all cutting into cash-strapped gamers’ wallets." Whether or not these numbers will sharpen up when the next-gen consoles arrive remains to be seen, but Games Centre's Robert Lindsay confirms that pre-order numbers are strong and will hopefully "make up most of the deficit". 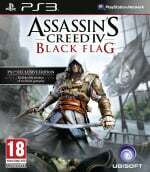 Have you picked up Assassin's Creed IV: Black Flag or Battlefield 4 for your PS3 yet, or are you holding out for their PS4 counterparts? Scream and shout in the comments section below. Those Battlefield 4 numbers are staggering, but I do think that it's a variety of issues. Clearly the 'one-game-a-year' folks have already spent their money on Grand Theft Auto V, and with the single player and online mode there's easily 150 hours worth of game there. I also wouldn't be surprised if heavy discounts and services like PlayStation Plus have contributed greatly to people's backlogs, meaning they're less eager to splash out on new releases. Of course, there'll be people waiting for the next-gen versions of these games, but I think the consoles themselves are a factor. If someone ordinarily spends £150 on games over the Christmas period, they may now be factoring in a £400 box, too. With the hardware, people may not have as much disposable income available to actually buy as many games to go with it. Given that both of these games are good, I expect they'll level out over time - but they may take longer to reach their targets, especially at full price. It's games like Batman: Arkham Origins that should be most worried, though - that doesn't have a next-gen version to fall back on, doesn't have the hype of its predecessor, and has been utterly crowded out by the likes of GTA and CoD. Yeah I'm waiting for PS4 myself, I have AC4 reserved and will pick up Battlefield 4 probably also. Yeah, I'd personally not even consider buying any more current gen games with next gen around the corner. Picking up a PS4 and XBONE with one game each is costing a staggering £850 so I'd definetly have no interest in spending £45 on a new current gen game. Plus, money aside, I'd want the flashier next gen version anyway. Also, it only seems like 5 mins since Battlefield 3 was released, so people haven't had long enough to yearn for a new one I don't think. Btw do you love soul sacrifice delta? 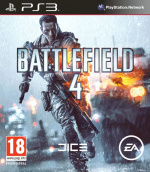 I got bf4 for ps3. Im enjoying it alot. But the next gen version is definitely gona be a huge step up. 64 players and better graphics, yes please. Waiting to get ACIV later for the PS4. I don't follow FPS games but wouldn't COD:Ghost sales hurt BF4 sales more than GTAV would? Do people really need those 2 games a week apart? And why would anybody buy an AC game at launch, it always drops to $30 in a few months? All Ubisoft games drop in price by half in a few months. And maybe people are mad at Ubi for the W_D delay? OK, it's probably people waiting for next gen systems, I just don't see how GTAV can have anything to do with it. Well probably the modern military setting for shooters is over saturated ever thought of that? 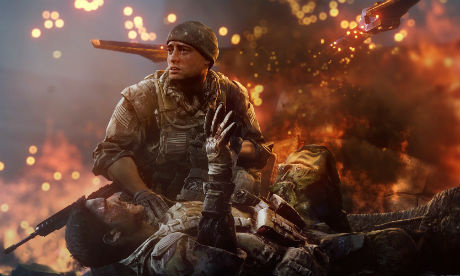 Possibly Battlefield isn't anymore what it used to be back in the day? And any combination of any other reasons given on top of that. @Sanquine Some of the artwork in Soul Sacrifice is just amazing. I think this is a great thing. Having people spend their money on a wider range of games, including indies and smaller releases, will hopefully show these publishers that annualizing franchises hurts them in the long run. Its better for the longevity of both the individual companies and the industry as a whole to invest equally in new IP as well as in big franchises. I've never been into online FPS and the Assassins creed series steadily downhill. After AC2. I personally have a huge backlog of games from PS+ and games I picked up cheap in PS store sales and just don't need to buy full price new releases. And if I do splash on a new game it tends to be something more enticing than the next instalment in long running and tiresome ( to me anyway) series. If I were to purchase either of them I'd be waiting for them on the PS4 and the best possible version of them. I have ACIV preordered for the PS4 as well. I think once I get the PS4 I will be only getting MS exclusives on my Xbox 360 and Nintendo exclusives on my Wii U. Multiplat and Sony exclusives is what I will be getting on my PS4. Maybe people just tired of buying same games over and over and over again. It's really a miracle, that somebody still willing to buy all those sequels. @get2sammyb You have to remember though that on the launch day people will be wanting at least one game to play, and I have a feeling Assassin's Creed in particular will be on virtually everybody's list! Luckily my sister gave me an I.O.U for my birthday good for one PS4 game at launch. AC IV is pre-ordered and sailing it's way to me! Not that interested in Battlefield 4, TBH, I bought Battlefield 3 on release, and the season pass, and its one of those games I'll play for a bit online with friends then I lose interest for a bit. I'll probably pick up Assassin's Creed 4 for the PS3, to go with the rest of my games backlog, when it drops in price a bit. While that's true (I myself always buy my consoles day 1), there's something to be said for getting a console right when it comes out. It's fun to have something brand new, right off the assembly line. Granted, I had to deal with the post-launch Vita game drought (kinda still am), and there were a couple months I endured a drought on Wii U, but I don't regret it for a second. Even during a drought, all you need is ONE good game to get you through. For Vita, Wipeout 2048 was my game that got me through, and for Wii U- Monster Hunter 3 Ultimate (STILL playing that game). PS4 launch is a bit underwhelming for me with no games I'm dying to play, but I'm still glad I ordered one. It's exciting just to have the console, because then you get hyped up for each incoming game release. I wouldn't have it any other way. I'm waiting for the PS4 version of AC IV: Black Flag, but these sales aren't all that surprising. AC is an annual franchise, at some point fatigue sets in. For me it happened with III, I'm thinking IV has enough to get me back into the series but it would not kill Ubisoft to give the series a year or two rest, I'm sure the team making the games could use a break too. As far as Battlefield, a lot of people are sick of the modern war FPS setting, many others just sick of FPS in general and these games always have ridiculously short, and usually awful, campaigns. The multiplayer is good for team oriented players, for everybody else, better off with CoD. I think both Ubi and EA need to re-evaluate some things and Activision should as well. Indie games mostly don't interest me, though that's mostly because everything recently has been some form of 'retro' crap; I will be checking out a few on PS4, like Warframe and... umm... that big puzzle game whose name I can't remember at the moment. 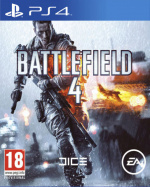 I've got Battlefield 4 pre-ordered with my PS4, along with Killzone Shadow Fall though - I didn't see any point in getting it on PS3 and paying more to upgrade it later. As for AC4... never been interested in them, so won't be picking that up on either platform. @Paranoimia I think you're thinking of The Witness. @Lelouch Yep, that's the one!